Until this week, we expected that Money Island marina and docks would be redeveloped under new management for this 2019. Seven different groups ranging from nonprofits to recreational boating to commercial fishing companies are working independently to settle old litigation, gain funding and apply for permits to expand their operations here. The process is taking much longer than expected and we see no fast resolution in sight. All groups plans are on hold at this time with no opportunity to move forward. The main hold-up is that the New Jersey Attorney General’s Office has not yet agreed to end litigation for prior lack of permits and violations dating back to the 1930s. Once that old litigation is settled, new agencies and investors will provide funding for the required permitting and redevelopment. However, all investors and agencies have been clear that no new permits or funding will be offered while the state continues to litigate over old issues. This is a mess that government created on its own and only government can solve. It no longer makes sense to continue to wait for the state to conclude its litigation before adopting a usage policy for these properties for 2019. For the remainder of 2019 it makes more sense to ‘go with what we have”. The Money Island facilities will be available to Baysave for permitted activities like small scale aquaculture and restoration. Some uses require no government permits so there is no restriction on these uses. Baysave is a volunteer based charity and it is not immediately clear how the operating costs will be covered. Details of each specific allowable use will be available separately soon. The following is a republished book report of “The End of the Line: How overfishing is changing the world and what we eat”. This small crab skiff used in the Chesapeake Bay likely meets more of our societal goals than the larger boats that dominate the east coast crabbing industry today. 75% of the world’s fisheries are fully exploited, over-exploited or depleted. Demand continues to grow sharply. – US has several management successes: pollock in Alaska, shrimp in Gulf of Mexico, Atlantic scallops, herring, black bass, striped bass. – subsidies create a mathematic model that must fail. Environmental education is effective “It strikes me that one ways of feeling less concerned about one of your fellow creatures is to not give it a name”. Some fish are more equal than others. Yesterday, April 2, 2019, Governor Murphy signed Executive Order 63 establishing new regulatory principles to foster economic growth and government efficiency and protect the environment, health, safety, and welfare of New Jersey’s residents and communities. The executive order acknowledges that “low-income communities are often subjected to further disadvantages by the lack of attention towards “Environmental Justice,” which includes, at a minimum, ensuring that residents of all communities receive fair and equitable treatment in decisionmaking that affects their environment, communities, homes, and health, and incorporating such considerations into the regulatory process”. Ironically on this very same day lawyers working for the state of New Jersey’s Attorney General’s Office announced plans to take additional legal action against Baysave’s over our plan to remove boat docks and unpermitted structures. Again, like prior actions, they don’t object to the compliance and restoration plan itself but rather they are not happy with the pace of our progress or the delays in obtaining funding for the work. Meanwhile, specific unnamed individuals within the NJDEP have reportedly worked to block our efforts toward approval of projects that would achieve environmental compliance. The pace of environmental compliance progress here at the bayshore is dependent on the availability of funding, suitable weather conditions, available contractors and appropriate equipment. We are moving as quickly as possible under the current circumstances. The constant legal attacks by the gang-ups of the NJDEP with the Attorney General’s office continue to erode the welfare of our community and undermine our efforts toward environmental compliance and sustainability. 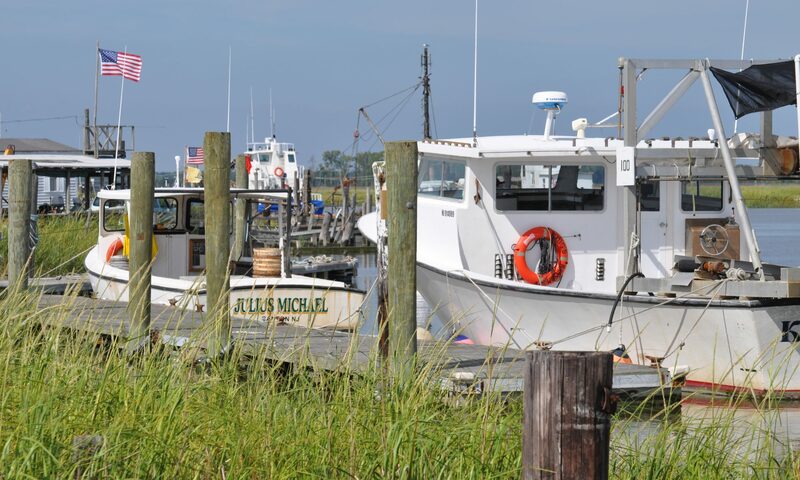 Money Island and its working waterfront businesses are located among the lower working class income sections of New Jersey in rural Cumberland County. Watermen here typically do not have access to the economic, educational, or technological resources that people in other areas take for granted. Our local governments, community organizations and businesses are no match for the awesome powers and unlimited budgets of the out-of-sync state lawyers and disorganized policymakers in Trenton. The state has proven again and again to be unable to effectively address corruption and incompetence within its ranks. The result: those within the poorest communities become victims of government’s abuse of power. Baysave representatives have called, written and emailed Governor Murphy’s office about the apparent mismatch in government actions and resulting injustice inflicted on the businesses at Money Island. Last month Baysave’s Tony Novak submitted public comment to Governor Murphy’s executive order on environmental justice to the NJDEP’s Office of Environmental Justice. No response has been received other than an acknowledgement of receipt of the comment. Yesterday we asked Baysave’s government relations liaison and proposed compliance project engineer to please step up their efforts to establish communications with state government on Money Island permitting and sustainability planning. Obviously there is a serious disconnect on the progress of what is theoretically possible and what is actually happening. The Governor’s new executive order becomes effective June 1, We will likely be involved in communicating with the Attorney General’s office and the Commissioner of the NJDEP – two of the state officials charged with responsibility for carrying out this executive order – about the observed actions in violation of this state policy. Meanwhile we have asked our government liaison and civil engineer to step up efforts to communicate with government to curb the next round of proposed government abuse of power. The executive order states “we should also strive to identify ways to maximize regulatory efficiency by simplifying and streamlining the public’s ease of access to the machinery of government and to enhance the ability of regulated communities to communicate and interact with the regulatory agencies that oversee their actions, professions, occupations, and endeavors”. Yes! That’s exactly what we’ve been talking about! The complete lack of communication and mismatch of planning between the state, county, local government and community groups like Baysave is a disaster for our community. We must do better. Baysave remains committed to getting state government to work with our communities and not against us. One of the greatest challenges to sustainability at the New Jersey bayshore is housing. The conventional and widely supported shoreline management strategy known as “strategic retreat” is likely best social, economic and political strategy. But that doesn’t mean that we intend to withdraw 100% of the people for 100% of the time. We anticipate a continued need for some housing at the bayshore to serve both recreational and aquacultural uses. Baysave intends to support new approaches to the need for housing in ways that conform to evolving standards. Sustainability means serving the needs of all users and stakeholders. Environmentalists effectively make the point that the best way to sustain any of our natural areas or resources is to simply keep humans away from them. But that’s not realistic and it’s not the goal of sustainability planning. Humans are part of the equation and we need to balance the demands of human use with the best practices to preserve and sustain our natural resources. One of the requirements of human use is housing. At it’s core, housing is primarily a means to stay protected from the extremes of weather while also providing us with some level of protection and privacy. At the New Jersey bayshore, considering the current physical environment, available technologies and current laws, sustainable housing in our means soft footprint housing. This blog post considers the goals, current conditions, and future possibilities for soft footprint housing at the bayshore. Short term use – We do not anticipate the need for permanent 365 day a year living at the bayshore. It is simply not the best choice for a permanent residence. The overwhelming demand for housing is for short term seasonal use. Increasingly frequent flooding, extremes of weather, lack of public utilities, etc. make future demand of permanent housing here seem unlikely. Affordable – The bayshore region of New Jersey is a low income area compared to the rest of the state and the rest of the middle Atlantic region. Planners argue that the state’s “one size fits all” approach to land use and building codes is a leading contributor to the current state of economic depression and long term depopulation of the bayshore region. Legal – Housing at the bayshore is controlled primarily by state laws including the Coastal Wetlands Act of 1970 and subjects us to permit requirement rules known as CAFRA. While there are efforts to update and modernize existing laws, our focus is to operate within the law as it exists today. Physically resistant – The history of housing at the bayshore is a circular story of building, destruction at the hands of storms and erosion, then rebuilding, then destruction again. We intend to break the cycle. Land use laws – New Jersey’s bayshore communities face competing laws requiring support for affordable housing, laws that cover private property use and laws that restrict land use to protect the environment. We must seek out the balance point between those. The cost of compliance with existing land use laws at the bayshore precludes the application of a land use permit that would likely more than double the cost of a typical proposed project. This means that our legal compliance strategy must focus on allowable land use that does not require a state permit. Affordable housing crisis – While New Jersey has a requirement for communities to address affordable housing issues but the local communities have made no progress in this area. The number of housing units within reasonable commuting distance to the waterfront continues to decline and we have no current ability to provide necessary on-site housing to rebuild the local businesses. The closest affordable housing is a 30 minute drive away whereas the aquaculture industry (especially crab shedding) and recreational industry (boat launch management) requires full time 24-hour on site staffing. Carry-in, carry out – Our current environment demands that we bring in the things we need to sustain a comfortable stay: food, water, electric and other energy sources, internet, and other supplies. We must also carry out our solid waste and wastewater for handling at an approved facility. Owner-occupied – Current laws do not provide for any multi-unit rental or campground type of use and the rezoning possibility has not been assessed. For now, we are focused on single owner-occupied dwellings. Tidal flooding – The effects of more frequent tidal flooding must be considered. While wet-proof infrastructure is relatively easy to construct, the long term effects of salt water corrosion on vehicles, machinery and infrastructure is significant. We have a local anecdotal system for measuring tidal flooding that casually monitors the number of times that the roadway is under water and translates that to a percentage of time the local area is flooded. The overall percentage of time we have tidal road flooding is still small (less than 5% of the time) but this condition is increasing at an alarming pace. Technology – New technologies have not been tested in the bayshore environment due to legal and financial restrictions. Economic impact – It is clear that the lack of workable housing solution is having a massive adverse impact on the aquaculture and recreational use industries. It is probably accurate to say that this is now the #1 impediment to economic recovery of our bayshore region. RVs – Motorized vehicles that provide a short term dwelling and drive away when not used or when threatened with adverse weather conditions. Regulation of these as vehicles and not as dwellings makes this the most “doable” but also most expensive option. Campers or trailers – This is the historically popular method. Most of the bayshore’s housing (including the author’s) originally started with a camper or trailer. Current restrictions limit the use of campers or trailers on private property. Tiny houses – This is a hybrid type of dwelling that legally classified as a trailer but designed more like traditional housing. New Jersey laws are currently not not supportive of tiny houses as long term dwellings. The primary draw of this approach for us is it ability to draw together creative contributors. The popular momentum of the tiny house movement compared to the other options means that this area may see legal change sooner than other types of new dwellings. Boats and floating dwellings – Almost a third of our former residential land is now below mean high tide level. 100% of our land is occasionally below water in tidal flooding conditions. Both sea level rise and tidal flooding conditions are expected to accelerate. The most common type of floating housing, of course, are cabin-equipped boats and occasionally a houseboat. Cabin boats account for majority of overnight human stays along bayshores yet these are not common here in our region simply because most users could not afford to own and maintain a boat of that size. We see the possibility of additional types of floating housing. The use of floating housing on lots that are below mean high tide and are therefore sometimes dry but sometimes below water is unresolved. I’ve personally designed and built several outbuildings or structures (including a floating tool shed, a floating deck, and a floating car port) and found that our local building inspector expressed frustration that these do not fall under any clear set of regulations. Tents or Yurts – Until recently, New Jersey maintained and rented yurts for short term living at its state parks. These were abandoned after reports of mold problems. Tents are still popular as short term use from beaches to woodlands. Conventional commercially available tents tested at the bayshore are unsuitable and are typically destroyed at the first windstorm. More durable tents have not been tested. Hurricane resistant housing – domed structures on coastlines in other parts of the country offer the possibility of hurricane resistant housing. These structures have not been tested locally despite increased interest after the destruction of superstorm Sandy. 1. Do not require land use permitting. 2. Are supported by public and/or private investors. 3. Have the highest chance of gaining acceptance at the bayshore. We believe that the most successful bayshore dwellings of the future will likely combine the past methods in ways that incorporate new technology that has not yet been field tested here. There is interest in funding and field-testing new dwelling concepts and we think that this should be an integral part of the sustainability planning for the bayshore. This photograph taken in 2017 shows part of a former residence constructed on dry land decades ago that was consumed by sea level rise and storms. It was finally destroyed in superstorm Sandy in 2012. Now the structures are completely removed. Almost 100% of the lot is now below mean high tide line and the state has acquired the property for open space. Is the future even gloomier than our worst fears? Are climate change threats even worse than the sustainability experts warned us about? While some politicians who profit from the status quo continue to spread propaganda and deny the severity of environmental stress, climate scientists have migrated to far gloomier forecasts than we’ve become accustomed. It is shocking and scary that this new generation of books on sustainability are quite different from the last generation on the same topic. Older books like Eaarth, Storms of My Grandchildren, The Earth is Flat, The World Until Yesterday, Hot, Flat and Crowded, and such that held out hope for the next generations aging gracefully as a planet. I’ve read dozens of books on many aspects of sustainability from agriculture to economics and political impact, all with some version of this theme. It is a scary warning but maybe not scary enough. These new books like The Uninhabitable Earth and Losing Earth forecast a grossly worse future and lack of sustainability: massive death, migration, political upheaval and war; our worst nightmares. I haven’t read the two latest books but I will soon. I wish everyone would. Yet we know from historical and archaeological accounts of past mass extinctions caused by environmental stress, major segments of the population continue to will deny the existence of the environmental threats until shortly before their mass deaths as a result of the tragedy. Islanders, for example, in past civilizations who starved after they chopped down and burned the last of trees needed to make canoes for fishing required to feed themselves. So what’s the point, really? We really need to ask the tougher questions about how we plan to deal with these new severe threats of climate change in the face of political denial of those in power who profit from its cause. How do we deal with those on our island who chop and burn trees when we really need to be conserving trees and growing forests? I am disturbed by the blanket statements like “Eastern cities would disappear” in presentations like this 2017 example in Business Insider. It’s the wrong message to communicate. More accurately, “Eastern cities will be below sea level and will need massive adaptation and transformation to continue to exist”. It’s not as if we can’t come up with the sea level rise adaptation plans but rather the likelihood, based on current information, that big cities won’t implement them. Just last week New York City announced plans for an ambitious and extremely expensive sea wall around lower Manhattan. To be clear, this is just a small piece of the sustainability plan that NYC will require to survive. In contrast, rural seaboard communities like mine are making the slow transition from farming to aquaculture and so we might stand a better chance of successful adaptation. That’s the message at the core of Baysave’s communications. But sustainability for the long term beyond, say, 30 years is all speculative at this point. We are increasingly confident that we can make expensive adaptations to give us sustainability for that period of time and that, IMO, should be the primary message in these types of media presentations. In other words, for our lifetime sustainability of coastal cities is a budgeting issue, not so much a natural disaster issue unless we allow it to be so. Planning beyond that I’ll personally leave to the sharper minds of younger generations. This is the full text of the comment submitted today to eo23@dep.nj.gov. Thank you for allowing me to make a public comment at the Bridgeton NJ meeting on March 11, 2019 . Please allow me to add this written comment to summarize and highlight the shortcomings of environmental justice in New Jersey that I hope to bring to the Governor’s attention. I’ve had an absurdly unfortunate first-hand exposure to environmental injustice by the New Jersey Department of Environmental Protection and, more recently, the New Jersey Attorney General’s office. The purpose of this writing is to supplement a verbal statement I gave on March 11 at a Listening Session focused on Governor Murphy’s Executive Order No. 23 on environmental justice. My stories below offer timely comment in response to the “Environmental Justice Executive Order No. 23 Guidance”. Executive Order No. 23 signed by Governor Phillip D. Murphy on April 20, 2018 recognized that, historically, New Jersey’s low-income communities have been disproportionately affected by environmental degradation that often leads to other serious problems beyond environmental issues, including housing and quality of life challenges and disproportionate burden of compliance with state regulations. The NJDEP issued an Environmental Justice Draft Plan in January 2019 (hereafter “Plan”) and invited public comment on that plan to implement environmental justice policies in the state. This comment is submitted during the 60-day public comment period to receive input on the proposal. “Fair treatment” means that no group of people should bear a disproportionate share of the negative environmental consequences resulting from industrial, governmental and commercial operations or policies. The small rural community known as Money Island New Jersey, is the smallest of five communities that make up Downe Township. We are located on the southwestern tip of the state, in rural Cumberland County that has historically been denied fair treatment with regard to environmental justice. The residents of this community are typically low income individuals who have not had access to meaningful involvement with respect to the implementation and enforcement of environmental laws, regulations and policies. As a result, the community has born a disproportionate share of the negative consequences resulting from governmental operations and policies. The New Jersey Department of Community Affairs utilizes a Municipal Revitalization Index (MRI) scoring system referred to in the Plan. Our local municipality Downe Township has a 2017 MRI Distress Score of 43.7, ranking it as #63 of the 565 municipalities (11th percentile most at risk) ranked by highest to lowest overall risk. Downe Township ranks as the #36 lowest per capita income municipality in the state (6th percentile lowest income). The data shows that our community falls within the category of those facing a disproportionately high burden of the issues related to environmental justice. Specifically, we recognize that our higher exposure to risks combined with our local lack of financial resources to deal with these risks exacerbates and compounds the problem. Anecdotally, I occasionally speak with senior NJDEP officials in informal settings who acknowledge this disproportionate burden and the need to address it, yet I am not aware of any actual progress by the Department in doing so. Lack of affordable housing in environmental justice communities is identified as one of the challenges recognized in the Plan. Our community has experienced rapid devaluation of properties due to the combination of environmental stress, lack of government responsiveness and lack of financial resources to address the problems. My own house went from a certified appraised value of $186,000 in 2006 to $5,000 in 2017. That’s a 97% devaluation. At the same time, we were hit with the massive costs of storm repair, including Sandy recovery, increased insurance and taxes and a lack of available programs to provide housing rehabilitation funding. The Plan seeks better community engagement by state agencies. In 2014 then State Senator Van Drew wrote a letter (copy attached) to former NJDEP Commissioner Martin documenting the difficulties I had establishing communication and engagement with the Department with regard to the planned sustainable redevelopment of Money Island. In 2017 I requested alternative dispute resolution to help address these issues of lack of engagement. NJDEP declined to participate in alternate dispute resolution to the surprise of the officials who run that program. I can’t think of a more pronounced example of lack of engagement of NJDEP than this. These examples, combined with my many other experiences, add up to a pattern of deliberate intent to disengage from the community’s efforts to address compliance and sustainability challenges. The Plan seeks to improve capacity building assistance for communities. Please consider that our community have been lobbying the NJDEP for more than a decade on basic issues like the need for water and sewer infrastructure, telephone and internet and more sustainable roadways. I see nothing to indicate that NJDEP intends to build the capacity in our community. The 2nd, 3rd and 4th stated goals of the Plan are “2. State agencies will routinely consider environmental justice impacts of their programs when developing and implementing program plans, regulations and policies”, 3. “State agencies will work together, through an inter-agency environmental council and cross agency workgroups, to develop and carry out targeted action plans to address environmental justice challenges and to leverage opportunities for improving conditions in environmental justice communities”, and “4. State agencies will coordinate their activities to provide effective communication and collaboration with environmental justice communities”. A) The NJDEP’s actions have not considered environmental justice impact. Most recently, for example, the Department’s use of NJ Attorney General Grewal’s Office to prosecute those who are recovering from Sandy and financially unable to rebuild quickly caused a number of small businesses to close or move out of the state. The state admits, for example, that Baysave’s contributors have made signifanct contributions to the recovery, sustainability and compliance efforts of this community yet seems to have o qualms in suing the company and its volunteers. C) At a recent on-site meeting at Money Island with high level NJDEP officials they plainly stated that they see a lack of coordination among agencies and departments and admitted that the end result – and its impact on me – is nonsensical. My first unfortunate exposure to NJDEP injustice began in 2010 when a woman who did not know me came to my house to dispute the verbal instructions I was given by other NJDEP officials and our local building inspector. I was fixing a broken dock and bulkhead. A short time later, maybe 2-3 weeks, a man came who obviously knew who I was said he could fix it with a direct payment to him. I reasoned that there was no way he could no of my predicament without ‘inside’ connection to the NJDEP person who visited me earlier. He specifically said that he represented the NJDEP and that the payment must be in cash. He did not give an amount that I was supposed to pay. I recognized it as a bribe and said that I would have no part in that scheme. A neighbor later told me that he was facing the same type of attempted bribe solicitation. That combination of interactions led to my application for a “Zane exemption” to avoid the need for permitting. That application was eventually denied, several years later, for the implausible reason that me and all my six neighbors moved our bulkheads from their original position. Our former State Senator wrote a letter asking the NJDEP commissioner to open a line of communication to negotiate this misunderstanding. I challenged the plain lack of credibility of the NJDEP excuse with a higher level official. He did not dispute my points said he would get back to me. He never did. He was then transferred to another job and says this matter is no longer in his jurisdiction. Over the years I’ve told the story of attempted bribery to many people in government and law enforcement. Almost no one seems surprised and nobody ever offered to take any action. The second disastrous integration came in 2012-2013 in the month before and after superstorm Sandy. I made a written proposal for the state to acquire land that I proposed to buy from a bankruptcy trustee for transfer to the state at my inherent cost. I saw this proposal as a way where the state might acquire open space property at a lower than market price and I might be able to recover what the former owners owed me that I wouldn’t otherwise recover in the bankruptcy. Officially the proposal was under consideration but in private verbal communications the NJDEP officials gave every indication that the proposal would be successful. The state kept the offer open for about five years before declining interest in the properties. They declined interest in the properties on the same day that they notified me of their intent to prosecute Baysave for violations on the properties offered. I referred to this action of leading me on as a trap for enforcement action as “NJDEP entrapment” in later court filings. Following superstorm Sandy there were a handful of investigations of credible accusations of government fraud. A neighbor said that he was working with a US attorney from New York and asked if I would give a supporting statement. I gave an interview by telephone but never received interrogatories, a subpoena or anything else in writing related to this. The interview focused on an earlier death threat I received that claimed to be from a government official. I told the investigating attorney of the death threats I received, I gave her the caller ID where the one telephone threat, and indicated how they could verify my report with an earlier NJ state police report. I never heard anything more except that my neighbor said the US attorney decided to not prosecute the case “because there was not enough money involved”. From 2004 until 2014 I was involved as a citizen in the planning of a bulkhead intended to save our community from sea level rise. The original engineering plans were modified around 2015 “because we didn’t have the money”, according to the project engineer. A different private engineer said the altered plans would have devastating erosion effect on the adjacent properties (my properties) due to increased water flow past the adjacent property. I expressed my concerns in a formal timely comment on the project submitted to NJDEP. Initially the project engineer offered to add some features to mitigate the damage of the altered project design. Later he told me that he that a superior in government prohibited from speaking to me. NJDEP never answered the erosion risk inquiries that I submitted by certified mail and follow up telephone calls. The visible damage in 2017 and 2018 resulting from this lack of appropriate project risk management is shocking to those who have lived here for many years. In 2014 the NJDEP issued an odd local water quality report. Having an educational background in natural sciences and some aspects of this water testing field, I recognized the testing methods as scientifically unsound. The preliminary issued report was loaded with factual errors. It appeared to be more political propaganda than science. I spoke with the report’s author several times who promised to discuss the matter after the final report was published. I arranged an interview for the scientist with a local reporter. The scientist then said he was forbidden from talking to me or any reporter about the false water quality report. Downe Township later hired its own researchers to oppose the obviously bad findings of the state’s report. NJDEP launched a series of ‘notice of violation’ complaints against properties owned by Baysave (later owned by me). Some of the complaints are valid and some are errors. Several people inside and outside of government told me that these matters are typically resolved through arbitration. I made a formal application for arbitration. The NJDEP denied my application for arbitration. The NJDEP official who runs the arbitration process said this was the first time in her long tenure that the state had denied an arbitration hearing. I do not know the reason that the request was denied. I only know that it is rare and unjust. The NJDEP is using the virtually unlimited manpower, budget and legal muscle of the state’s Attorney General to bully me nd make it impossible to fight their past misdeeds and false claims. In late 2018 the NJDEP and the Attorney General teamed up to close our businesses because I did not have the money to advance pending land use permit applications. As a result, the six or several water-based small businesses that operated from our property are now closed. We were financially ravaged by superstorm Sandy and have not yet recovered. The timeline demanded for payment of legal permitting costs demanded by the Attorney General are impossible. We all agree that we all want the same outcome – full compliance with all land use permit regulations – but we disagree on the consequences of that process taking longer than the state demands. I am using this story as a textbook case of environmental injustice; bad behavior by government against its most vulnerable people. NJ Clean Marina Program – In 2014 I took a lead role in engaging local residents, business owners and visitors to participate in New Jersey’s Green Marina Program. It was important to our educational mission to change the culture and thinking of the local waterfront community to be more aware of environmental issues. It took about two years and cost Baysave and its neighbors about $3,500 to complete the program that transformed our local operations. At the completion of the final inspection, the program administrator told me they “had run out of funding” and could not certify us under the program. Two years later he admitted privately that an unnamed NJDEP official blocked our participation in this program. New Jersey Sea Grant Pump Out Station Program – The most basic need of humans in a waterfront community is a waste handling system. In 2013 we partnered with professional firms firm to design a waste handling system like those used at similar marinas. We had trouble getting final approval to construct the system. In 2017 the program administrator admitted that NJDEP official blocked the approval but declined to name the official who took this action. I suspect, based on third-hand reports, but have no proof that NJDEP bad actors played a role in our difficulties gaining acceptance into other programs that would otherwise lead to environmental compliance and sustainability. I’ve personally made calls, emails, web forms, tweets, and letters to the Governor, the Lieutenant Governor, the Attorney General asking for a opportunity to address these concerns of unjust actions by state officials. The number of attempted communications exceeds 20. In 2018 I asked the former State Senator’s office for assistance in reaching the decision makers on environmental injustice but that request was denied. None of my communications have been answered. It seems clear that the pattern of neglect shows willful intent of state government at the highest levels to avoid addressing these issues of environmental injustice. “Identification of existing programs that have a significant impact on environmental justice communities.” – In our community of Money Island, the program that would make the most immediate impact is approval of the NJ SeaGrant pump up station application. I have submitted this application four different times: 2013, 2014, 2015 and 2017. At first our engineer said we were making progress but now I’m told that the application is blocked by an unnamed person at NJDEP. Improved wastewater handling for the boats and marina is critical to our community. I urge the Department to identify the person blocking this critical infrastructure application and have them speak with me and our engineers. Answer our repeated calls, emails and letters sent by my and the mayor of our municipality asking for clarification and direction on critical compliance and permitting issues. We can’t move forward without the Department’s input. When and if Commissioner McCabe visits Money Island again, I would welcome the opportunity for a casual discussion. I understand that she came and went this fall without speaking with any of us on site. I have met individually with many other higher level NJDEP officers here. Elected officials ranging from Senator Booker, former representative LoBiondo, former state Senator VanDrew, current state Senator Andrzejczak, Assemblyman Land, several former Assemblymen, our County Freeholders and our Mayor and many others have all been involved in advising, planning and implementation of our community’s sustainable future. We are grateful that all of these leaders have taken the time to visit and advise us on the steps to help secure the future of our community. Yet I feel that top-down leadership from within NJDEP is still lacking on the specific Environmental Justice issues that we discuss. Deal with us directly rather than through the Attorney General’s office. Suing the modest income residents like me and taking away valuable time and financial resources simply because they can’t get permits issued fast enough to satisfy the state is despicable behavior in itself. The wasted time and money takes away valuable resources that would otherwise go toward our community’s compliance and redevelopment. But more importantly, it is counterproductive to achieving our common goals. It is the very opposite of Environmental Justice! We all want full compliance and a sustainable community as soon as possible. But the Department’s willingness to sue us with its virtually unlimited budget for lawyers and prosecution – scared away all of the interested and willing sources of redevelopment funding in our community. In short, the state’s shortsighted plan of taking legal action rather than work with us shot the state in the foot. I urge the Department to settle its legal actions against us and resume problem-solving through normal process of community planning meetings, application reviews and candid discussion. In summary, I am asking the Governor of the State of New Jersey to “call off the dogs” of hostile legal action by the Attorney General against the state’s most vulnerable citizens, a community noted as a low income outlier in the Department of Community Affairs’ Municipal Revitalization Index, struggling with the devastating effects of climate change. Instead, we should resolve this through negotiation. I am asking the NJDEP to come to the negotiating table ready to discuss sources of financial resources and a realistic timetable to reach the end result that we all want: full compliance with all land use regulations. This pattern of environmental injustice is a solvable issue. There is no need for the state to be ruining lives and businesses simply because of the slow pace of post-Sandy economic recovery here at Money Island. It is wrong and unjust for the state to treat those of us who contribute so much to the long term sustainability our environment as common criminals simply because we lack the full financial resources to immediately meet state land use requirements. We have the resources, know-how and commitment to work together through the Plan to address this environmental injustice. All it takes to get started is leadership from the top to interrupt the pattern of bad behavior. I welcome the opportunity to discuss or provide more information on any of these points. Thank you for the opportunity to submit these comments. This is a draft copy of part 2 of a two part response to a request for comments to the environmental justice executive order 23 issued by New Jersey Governor Phil Murphy. The final compiled and submitted comment is available here. “New Jersey’s low-income communities and communities of color have been exposed to disproportionately high and unacceptably dangerous levels of air, water, and soil pollution, with the accompanying potential for increased public health impacts. In addition, E.O. 23 recognized that communities that are disproportionately affected by environmental degradation often face other serious problems beyond environmental issues, including health risks and housing challenges”. “Fair treatment” means that no group of people should bear a disproportionate share of the negative environmental consequences resulting from industrial, governmental and commercial operations or policies. The examples listed below clearly show that the state has not met this standard of fair treatment. My examples show how the NJDEP is placing an unjust and impossible burden of compliance on the people most damaged by climate change effects at a time when we are least able to raise the funds necessary for legal representation to address these attacks and to meet the state’s expensive land use permitting fees. The location of all of the examples is Money Island, Downe Township, Cumberland County, New Jersey, a small rural community noted in the Department of Community Affairs’ Municipal Revitalization Index as a low income and otherwise disadvantage community. This listing of examples of environmental injustice intentionally omits names, dates, site references and case numbers. Those details have already been provided to appropriate investigators. The second disastrous integration came in 2012-2013 in the month before and after superstorm Sandy. I made a written proposal for the state to acquire land that I proposed to buy from a bankruptcy trustee for transfer to the state at my inherent cost. I saw this proposal as a way where the state might acquire open space property at a lower than market price and I might be able to recover what the former owners owed me that I wouldn’t otherwise recover in the bankruptcy. Officially the proposal was under consideration but in private verbal communications the NJDEP officials gave every indication that the proposal would be successful. The state kept the offer open for about five years before declining interest in the properties. They declined interest in the properties on the same day that they notified me of their intent to prosecute Baysave for violations on the properties offered. I referred to this as “NJDEP entrapment” in later court filings. NJ Clean Marina Program – In 2014 I took a lead role in engaging local residents, business owners and visitors to participate in New Jersey’s Green Marina Program. It was important to our educational mission to change the culture and thinking of the local waterfront community to be more aware of environmental issues. It took about two years and cost Baysave and its neighbors about $3,500 to complete the program that transformed our local operations. At the completion of the final inspection, the program administrator told me they “had run out of funding” and could not certify us under the program. Two years later he admitter privately that an unnamed NJDEP oficial blocked our participation. New Jersey Sea Grant Pump Out Station Program – The most basic need of humans in a waterfront community is a wastehandling system. In 2013 we patnered with professional firms firm to design a waste handling system like those used at similar marinas. We had trouble getting final approval to construct the system. In 2017 the program administrator admitted that NJDEP official blocked the approval but declined to name the official who took this action. I’ve personally made calls, emails, web forms and letters to the Governor, the Lieutenant Governor, the Attorney General asking for a opportunity to address these concerns of unjust actions by state officials. None of my communications have been answered. I am asking the Governor of the State of New Jersey to “call off the dogs” of hostile legal action by the Attorney General against the state’s most vulnerable citizens, a community noted as a low income outlier in the Department of Community Affairs’ Municipal Revitalization Index, struggling with the devastating effects of climate change. Instead, we should resolve this through negotiation. I am asking the NJDEP to come to the negotiating table ready to discuss sources of financial resources and a realistic timetable to reach the end result that we all want: full compliance with all land use regulations. This is a solvable issue. There is no need for the state to be ruining lives and businesses simply because of the slow pace of post-Sandy economic recovery here at Money Island. It is wrong and unjust for the state to treat those of us who contribute so much to the long term sustainability our environment as common criminals simply because we lack the financial resources to immediately meet state land use requirements.